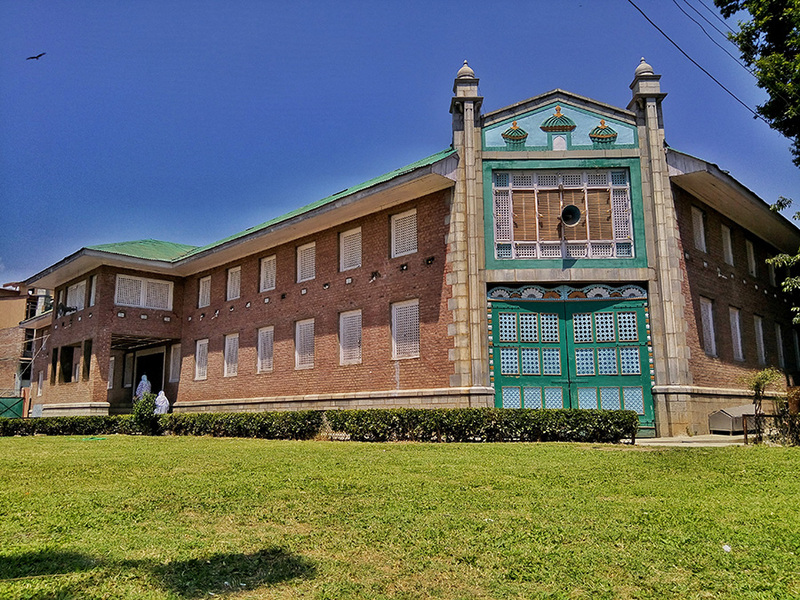 The story of Imam Bargah, a beautiful edifice that adores centre of Budgam, has a rich history dating back to 1857. A blend of 19th century Indo-Iranian architecture, the Imam Bargah is also known as Hussainiyah – it is used to remember the martyrdom of Imam Hussain (a.s), the grandson of Prophet Mohammad (s.a.w). Build under the supervision of Aga Syed Mohammad, the Imam Bargah was small to accommodate all. Then in 1955, under the supervision of Aga Syed Yousuf Al Musvi Al Safvi, then head of Anjuman-e-Sharie Shian, the building was extended to accommodate more people. The current structure is octagonal in shape with five entrances, each gate 12 feet in height. One of the five entrances is reserved for women worshipers. Each gate has different name: Bab-us-Salam, Bab-ur-Rizvan, Bab-ur-Rahman, Bab-ul-Amaan and women special Bab-un-Nisa. There was less space for people who would visit the place from within 6 miles radius for Friday congregational prayers. The new Imam Bargah is 90×90 feet in dimensions. Inside there are two octagonal bases, the first one measuring 80×80 feet, the second one, which also acts as the drainage is 12 feet wide. The third portion, which is like a verandah is 13 feet in width. There are twenty large deodar pillars (6 feet in breadth) in the middle portion, which serves as the prayer hall during rush hours. Another 62 pillars of stone, 2.5 feet of breadth adore the verandah. Interestingly, only eight pillars have joints, rest all are carved out of single stone. The third portion, which is 12 feet wide, also serves as a prayer hall during rains and snow. The present structure was constructed after razing the older edifice, but the difference is this one has no glass windows. The Imam Bargah has two stories one for men and one for women. The two parts are divided by lattice windows or Panjra work. Interestingly, women can see towards men portion but not the other way round. This Hussainiyah has big “Qub” in the middle which has beautiful papier mâché work, adorned with poetry in Persian. “The people from all over Kashmir contributed for it,” said Aga Syed Hassan, who currently heads Anjuman-e-Sharie Shian. 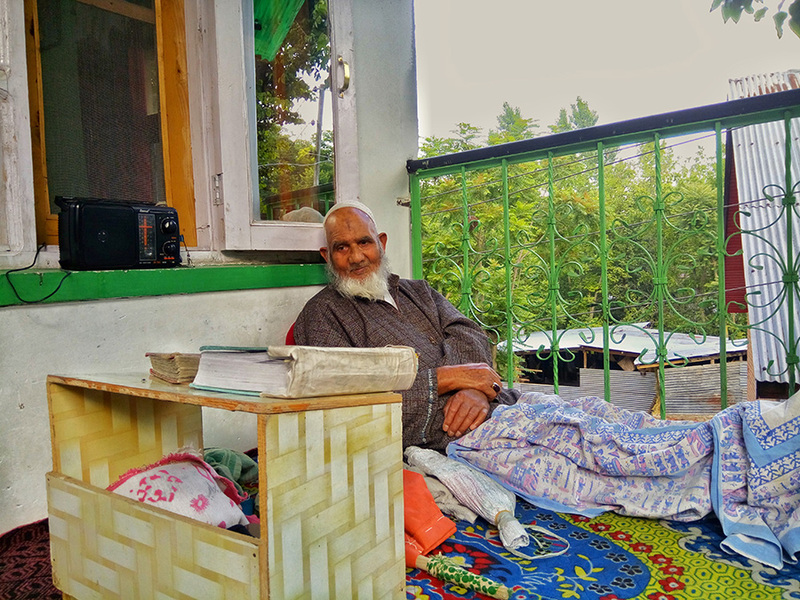 In 1955, Mohammad Jaffer Najar, now in his 90s, a former carpenter of Budgam was among the team of carpenters who were constructing the building. “I worked there for almost ten years. Our head carpenter was from Srinagar,” said Najar. Jaffer recalls how they used ropes to balance deodar pillars. However, the main test for engineer was when Aga Syed Yousuf told him that pillars should be arranged in a way that Imam can see every worshipper inside the prayer hall. Mohammad Asgar Bhat, 77, a resident of Khanpora, has also worked as labourer, remembers who everyone contributed for its construction. When the old structure was dismantled to make way for a new building, people would go to nearby stream for ablution. “Such was enthusiasm among people that people would get stones from the stream to help in the construction,” recalls Bhat. The sand used in the construction of the Imam Bargah came from a nearby stream. “Two bags of sand was carried on horses for fifty paisa,” recalls Bhat. 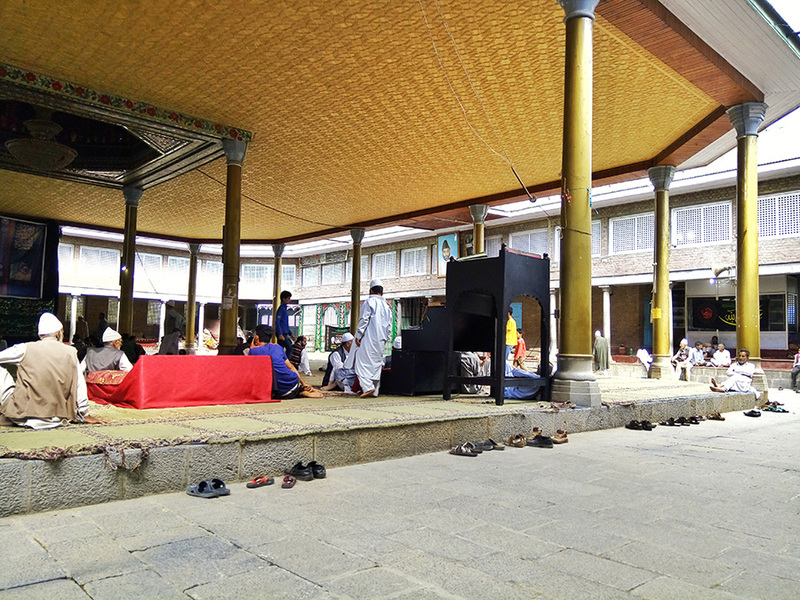 The imam Bargah Budgam is not meant only for Azardari which most people think, but it can be used in functions, classes and more over there is a difference between mosque and Imam Bargah, as in Mosque any non-Muslim is not allowed but in Imam Bargah everyone can come, Said Syed Hassan the current Anjumanie Sharie Shian and also a senior Hurriyat leader. 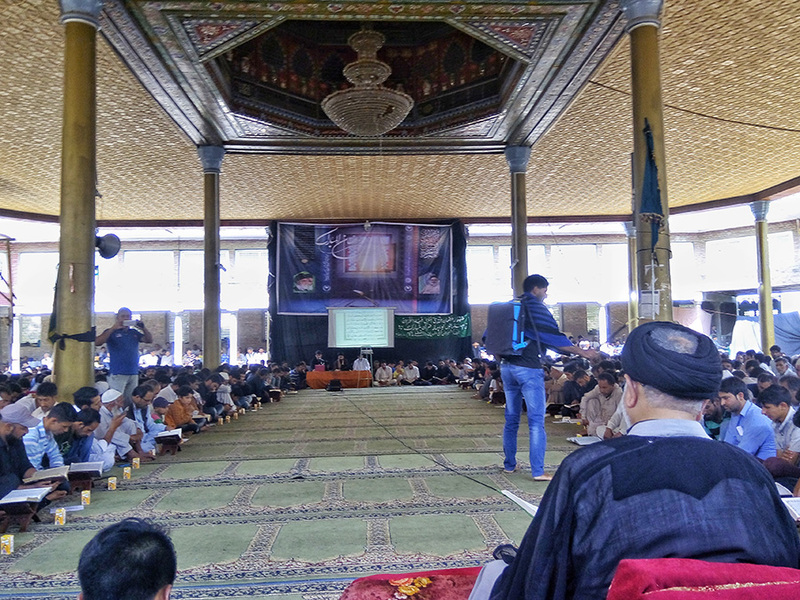 “In Ramadhan every year we offer Quran during the whole month where people recite Quran Sharief in a group, during the month of Ramadhan we complete once reciting Quran,” says Syed Hassan. Outside the Imam Bargah there is a big park where people sit and rest, and backside to Imam Bargah there are Chinar trees. In the front of the Imam Bargah there is the Jamia Masjid attached to it.